Think you have trouble squeezing writing into your day? Try throwing five kids into the mix. Tamara Grantham does it, and her debut novel, Dreamthief, will be published on September 1, 2015. It’s a fantasy tale, full of elves, fairies and intrigue. Tamara says the loving support of family and friends, and her own steadfast faith, have made it possible. Read on and be inspired. Please welcome Tamara to Write Despite! I started writing on September 1, 2010. I remember the date because it was a beautiful day. The leaves were beginning to change, the summer heat had cooled, and my son had started Kindergarten. I was at home with my two youngest, a 3-year-old girl and 1-year-old boy. I’d overcome the stresses of buying a new home in a new city, and my husband had started his 2nd year of residency. The past year had been pretty brutal. I was a small-town Texas girl transplanted to Tulsa, Oklahoma. I’d never lived so far away from home, and my husband’s 80-hour work weeks were a killer. Luckily, I was blessed to make some friends who were true kindred spirits. One of these kindred spirits loaned me a book called Princess of the Midnight Ball by Jessica Day George. It was a fun, creative story, not unlike the stories I’d created in my own imagination. In her bio, the author wrote that she’d written the book while raising two young children and one on the way. I stewed on this information for a few days. How did she do it? I couldn’t even find five minutes to check my email. How had she done it? And if I were to write a book, what would it be about? Would it have magic? Romance? What would my characters look like? Where would the setting be? I couldn’t leave all the information stuck in my head. I sat down and wrote a 10-page outline about a girl named Ivy who lived on a Texas farm. I called it Forbidden. The story was a mix of Anne of Green Gables meets Tess of the d’Urbevilles, with a little magic and romance thrown into the plot. It never got published, but I still have my hopes up. After I wrote my outline, I was hooked on writing. I finished the first draft of Forbidden a month later on October 1, 2010. Oddly enough, I’ll publish my first book on September 1, 2015, five years to the day that I started writing. My first published book was actually my fourth novel. Dreamthief started out as a question asked by my brother-in-law. He worked as a military policeman at Fort Sill in Lawton, Oklahoma. Apparently, he’d pulled over quite a few people who were a little off. They also happened to display fairies and unicorns on their car’s bumpers. “Are people who read fantasy books and collect fairy stuff a little weird?” he had asked. Hmm… Were they? And if they were, then why? These questions evolved into my book’s premise. What if they’ve really been to fairy world and can’t remember it? And what if their lost memories are causing their societal abnormalities and mental disorders? And if so, who would treat them? A half-elf who can remember both earth and fairy world? After that, I had a fresh new book to write. But I didn’t do it alone. My husband was a huge influence on my writing. Every Christmas he bought me several books on writing. I read them all. Some of them I read twice. He read everything I wrote and gave me critical feedback. And for the most part he loved all my writing. I queried agents for four years. I got some requests for pages, and even a few full manuscript requests. I attended writing conferences. At one conference I had all three agents request my book, but nothing came of it. After doing some research, I realized that my inability to snag an agent might not entirely be my fault. Self-published and smaller press-released books were gaining steam. These authors were not taking a huge profit pay cut, and they were successful with their sales. I looked into several methods of publishing and found my dream publisher. Clean Teen Publishing did beautiful covers, they had a professional online presence, and most importantly, their authors were selling books. 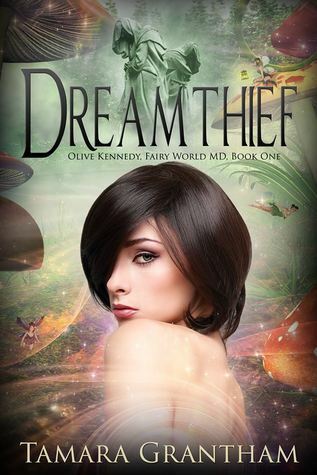 I submitted Dreamthief, my novel about Olive Kennedy, a Fairy World psychologist, to two publishers. A day later, I had two manuscript requests. And the next day, I had two offers. I signed with Crimson Tree Publishing, the adult imprint of Clean Teen Publishing, on November 8, 2014. It was one of the happiest days of my life. I have so much in my life to be thankful for. I have two wonderful parents, two sisters and a brother who support and love me. I’ve been extremely blessed to have five beautiful children who fill my world with laughter. I have a husband who also happens to be my best friend, who is stronger than me in so many ways, who supports his family and tries his hardest to give us the best life possible. I owe so much to him. And lastly, I have a loving Heavenly Father. He is my savior and redeemer. He blessed me with the gift to write, but more importantly, the motivation to keep going when I feel like I can’t, and for that I will forever be grateful. 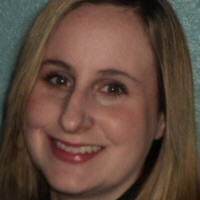 Connect with Tamara on Facebook and Twitter.